It has taken me a lot of years to be able to articulate why I am doing this? What drove me to change from a 22 year corporate life to choosing this new direction? I have always wanted to help Conscious Entrepreneur’s grow their business. Hell I didn’t even know what that meant 5 years ago. But here I am. I have experienced businesses on both sides of this world. The side that is driven by money and the side that wants to make a difference in this world. What I have found is passion on both sides but what I also found was tools. Tools that work!!! Tools that are here that have been brought by profound beings to help us all. In the end, all that matters is love but so many do not love themselves nor each other. Love is the only thing that is going to change the world. Traditional methods never worked for me but these tools did and my belief is that there is more to come and they need to get out into the world. My desire is to work with Strategic Partners and Alliances of 100% integrity that are here to help shift the Consciousness of the Planet and help humanity move forward, getting out of our old patterns of fear and loss and into love, by sharing, educating and the selling/distribution of consciousness tools around the globe. Specifically we wish to work with Conscious Entrepreneurs who have developed Conscious Tools in getting them out into the world effectively, efficiently, seamlessly and financially effectively for all parties involved. We are an organization that is dedicated to the Raising of Consciousness of individuals and organizations around the world. 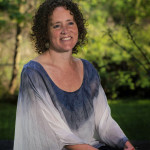 See a recent interview on Conscious Connections on Clearly Conscious TV where Bill interviews Andrea about her choices and her journey.